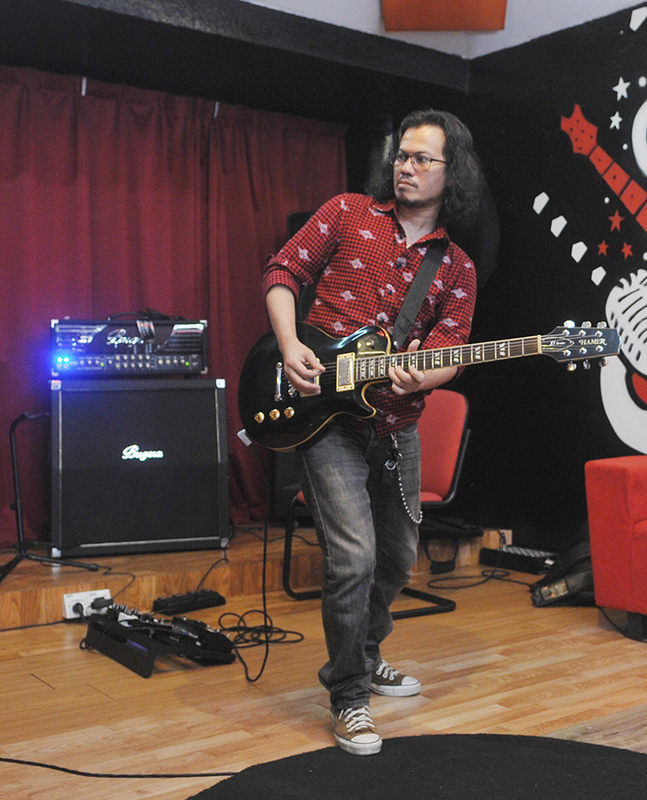 GRAFFITI decorated the walls as Merah Studio in Ampang, four floors above a mamak restaurant, hosted one of the biggest rock bands in the country – Def Gab C.
Guitarist Mohd Shukry Abd Aziz, 43, better known as Jemboo, rushed into the studio, apologising as he joined original bandmates, singer Mohd Ashid Ahmad (Asheed), 45, and drummer Nasyanto Nasip (Ah Tonk), 40, at the studio. 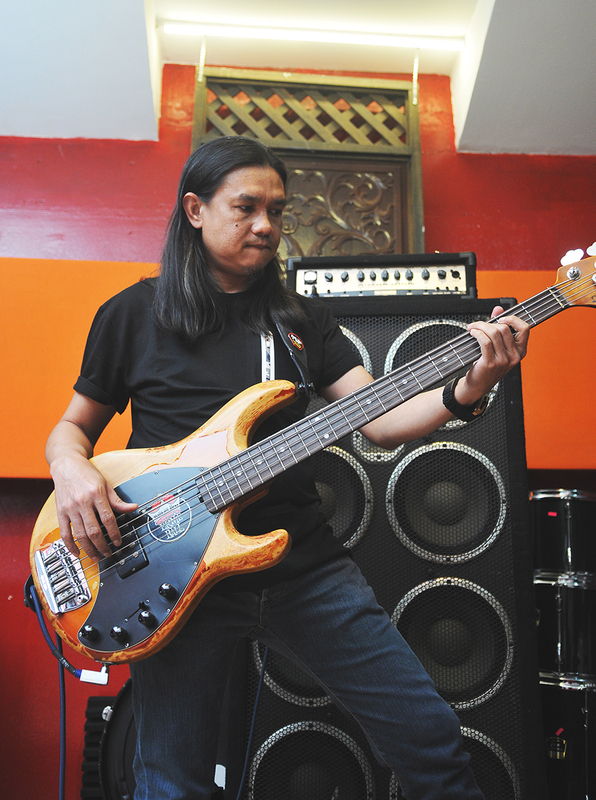 Bassist Ariffin Amir (Epyn), 43, is the newest member of the four-piece band. “Sorry, sorry, I got caught up in something earlier,” Jemboo said as he adjusted his glasses before taking his seat for an exclusive interview with Twentytwo13. 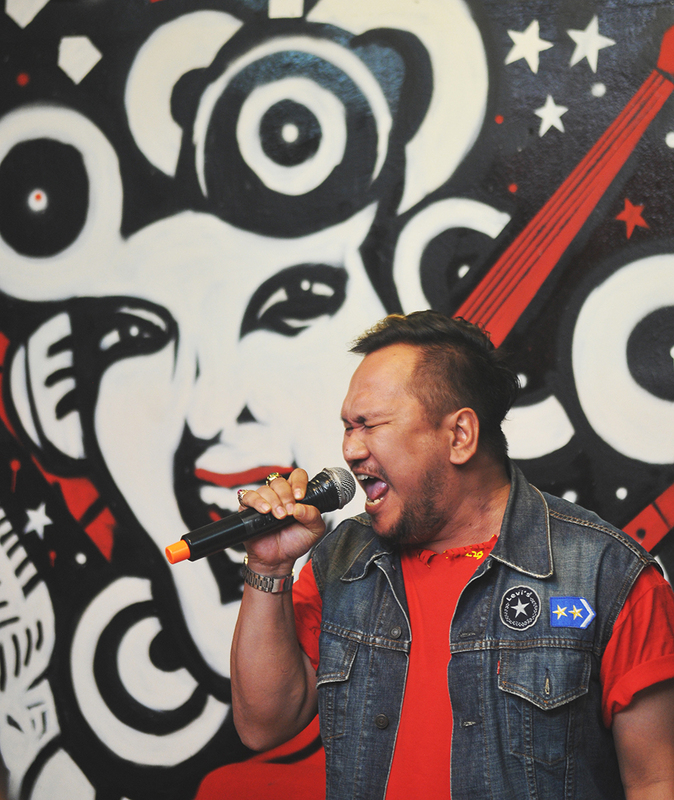 The band was widely celebrated when they hit the scene 21 years ago with songs like Ibukota Cinta, Cinta Sakti, Marilah Maria and Merah. They went on a three-year hiatus and regrouped early this year after they were assigned to produce and sing the Malaysia Agriculture, Horticulture & Agrotourism (MAHA) 2018 theme song Segalanya Wanita. “But times have changed and we have to evolve,” said Asheed. 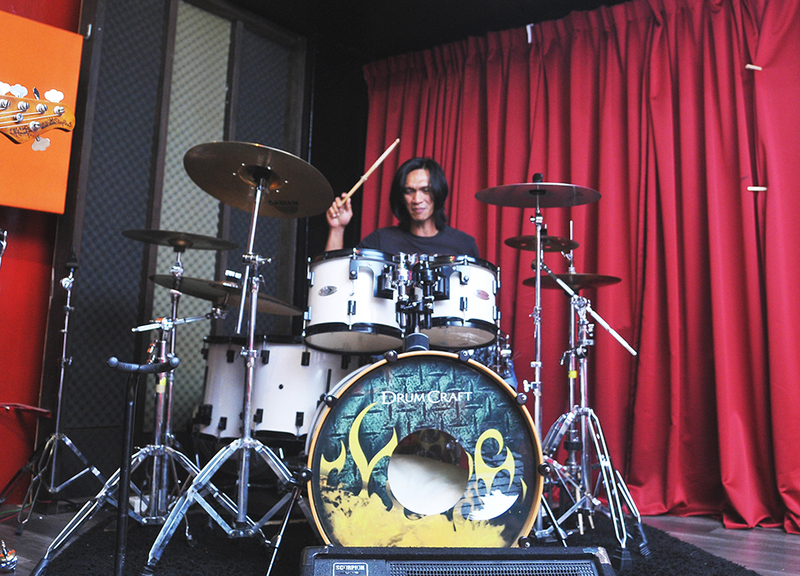 Jemboo has played for Singapore rock band Rusty Blade in the past. But Nirvana bassist Krist Novoselic had last month said the scene was still alive and “people are still doing it, too”. So is the Malaysian rock scene dead? “It’s not like what it used to be,” Ah Tonk said. Ah Tonk says Def Gab C has to evolve quickly and not harp on its past glory. Epyn said the band, now without a label, has an Instagram account (def.gab.c) to connect with younger fans. Epyn says the band’s branding game has changed with more emphasis on social media. What’s next for Def Gab C? “We plan to release a single perhaps after Hari Raya. We’re in the midst of sourcing for material and fine-tuning some stuff,” Jemboo said. Haresh Deol is a multi-award winning journalist. He can be reached at haresh.deol@twentytwo13.my or on Twitter (@HareshDeol).